362 Sha Tsui Road, Tsuen Wan, N.T. Nova Science Publishers also works with i-Source. 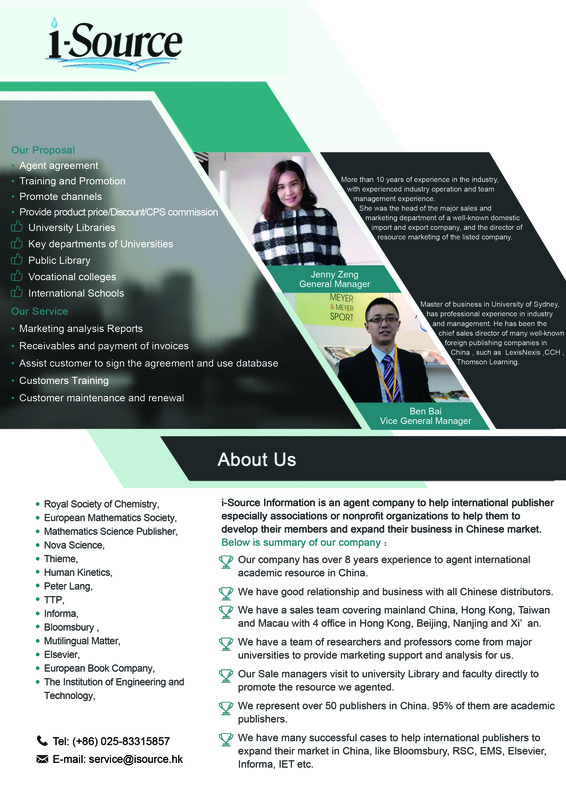 i-Source Information is an agent company to help international publishers develop their members and expand their business in the Chinese market. M/S CBS Publishers & Distributors Pvt. Argentina, Bolivia, Belize, Chile, Costa Rica, Colombia, El Salvador, Ecuador, French Guyana, Guatemala, Guyana, Honduras, Mexico, Nicaragua, Panama, Paraguay, Peru, Surinam, Uruguay, Venezuela and Caribbean Islands. Contact us if you need more information or have specific requirements. When you submit this form, the book URL will be included automatically.